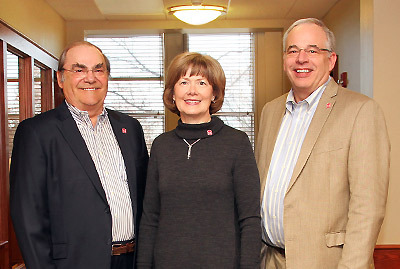 The Severson Entrepreneurship Academy was created as a result of a milestone gift to the Minot State University College of Business on February 9, 2010. The $1 million donation comes from Clint Severson and Conni Ahart. Severson was chairman of the board, chief executive officer and president of Abaxis, a medical devices company based in northern California. He is the 2007 Forbes Entrepreneur of the Year and a 1973 alumnus of then Minot State College. On February 9th 2016, Clint Severson and Conni Ahart and the College of Business announced a historic $2 million gift to the Severson Entrepreneurship Academy. This is the largest gift in Minot State's history. "When we made our first gift six years ago, I looked at all the possible organizations that I would consider worthwhile investments, Minot State rose to the top, and that has proven to be true," Severson said. "Our initial investment in the university created a new academy aimed at promoting entrepreneurship and building better business leaders for the present and future. This $2 million gift will enable the academy to continue expanding its work and guarantee the future of entrepreneurship at Minot State." Entrepreneurship major, minor, and certificate. Entrepreneurship Club, as mechanism through which students learn a format for analyzing start-up business plans; affiliated with national Collegiate Entrepreneurship Organization (CEO).